Perfomance: This cream is thick, with a stringy (melted cheese) texture - it's rather fun to play with when you're supposed to be putting it on your face. It has a very light fresh scent that didn't bother my sinuses at all and disappeared after I initially applied the cream to my face. 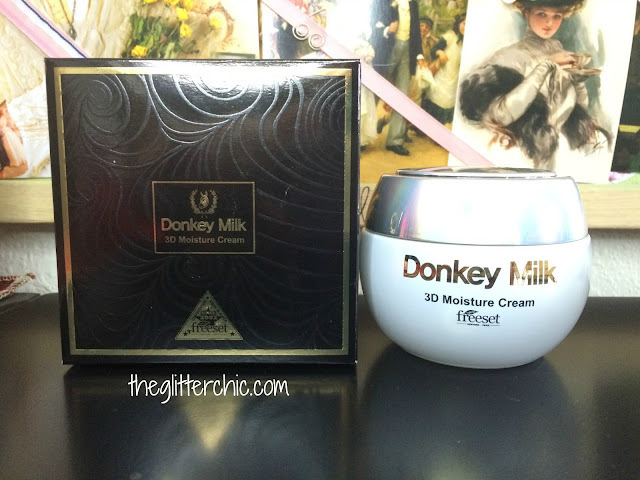 Despite it's thick nature, I actually found this cream to absorb fairly quickly if you apply a thin layer. I have applied thick layers as well and found that a little patting helps it absorb within a minute or two, or just lat your skin drink it in too - whichever you prefer. What I love most about this cream is that with my oily skin I can wear this day or night and it doesn't make my skin greasy or oily and it doesn't break me out no matter how much I apply. 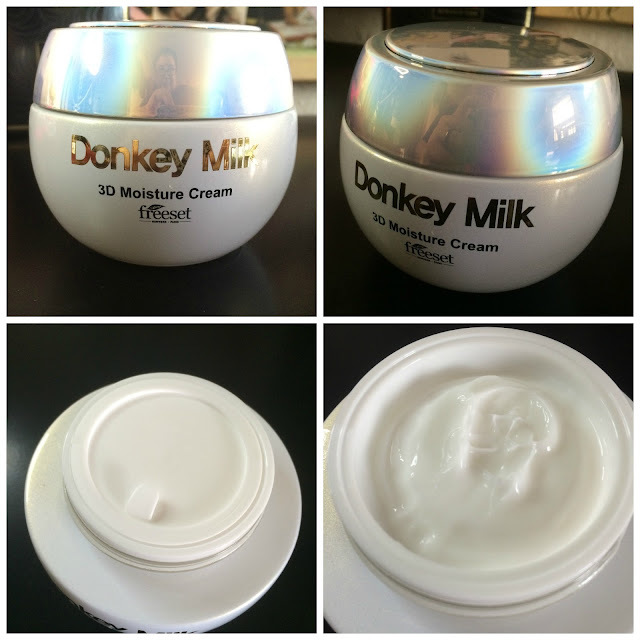 I meshes well with my skin, and dries to a semi-matte finish. It's hydrating and keeps my excess oil production under control. This is really the perfect cream for my face. 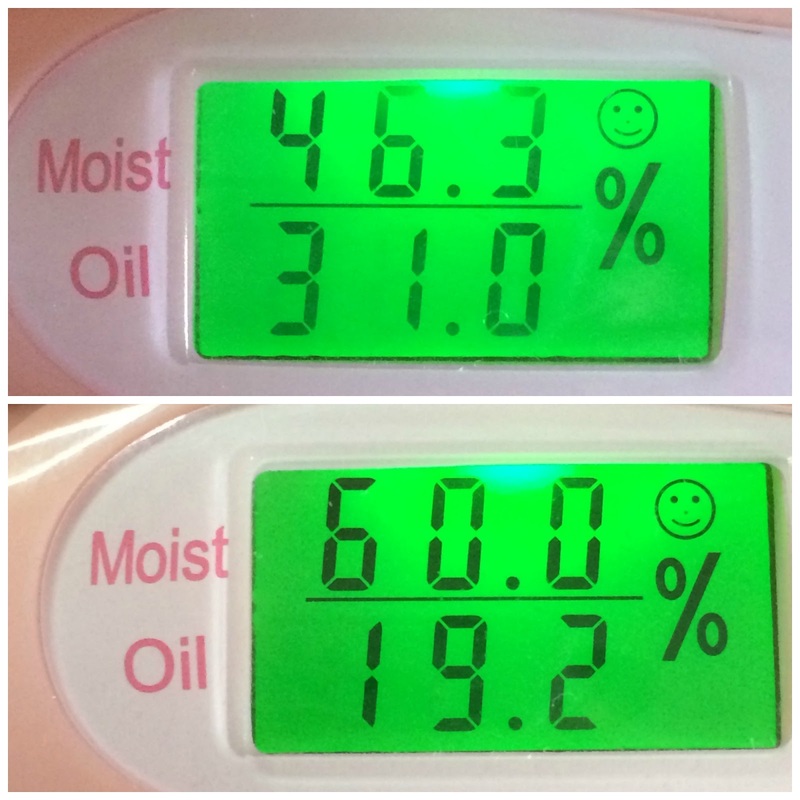 Moisture level before and after application of cream. The Freeset Donkey Milk 3D Moisture Cream is a holy grail item for me, I've never had a cream work so well with my skin before! I purchased mine from Memebox USA (affiliate). I can't wait to try this! Thank you so much for your review! 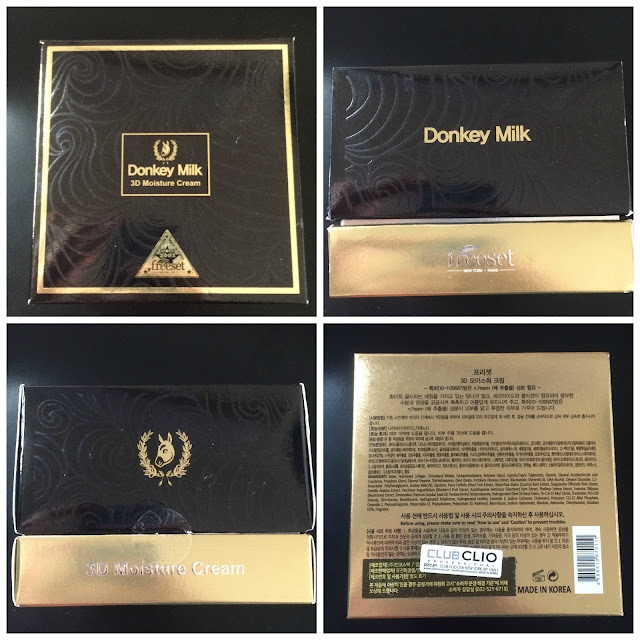 This cream looks amazing!